All week I threw in little blurbs and hints about a possible ‘polar plunge’ later in the trip. The suspense, excitement, and anxiousness built up within the group as our final day neared. Finally I told them that today was the day, and it just so happens to coincide with us being in front of a glacier. So as ice floated by us we put on our game faces to challenge ourselves with the coldest of polar plunges. 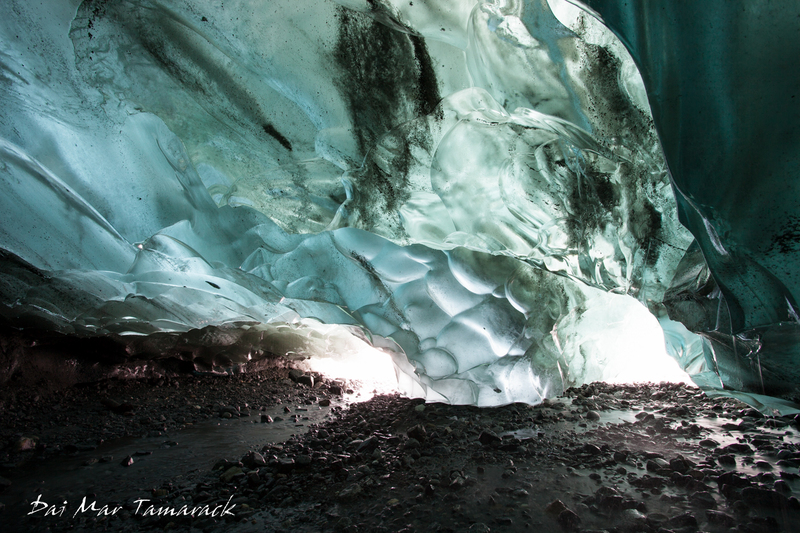 Dawes glacier has been active this year. We saw it calve several times during the morning kayak so we could understand why there was so much ice floating around the boat. The ice, coupled with the imposing Dawes glacier in the background, made for a pretty incredible scene for the polar plunge. 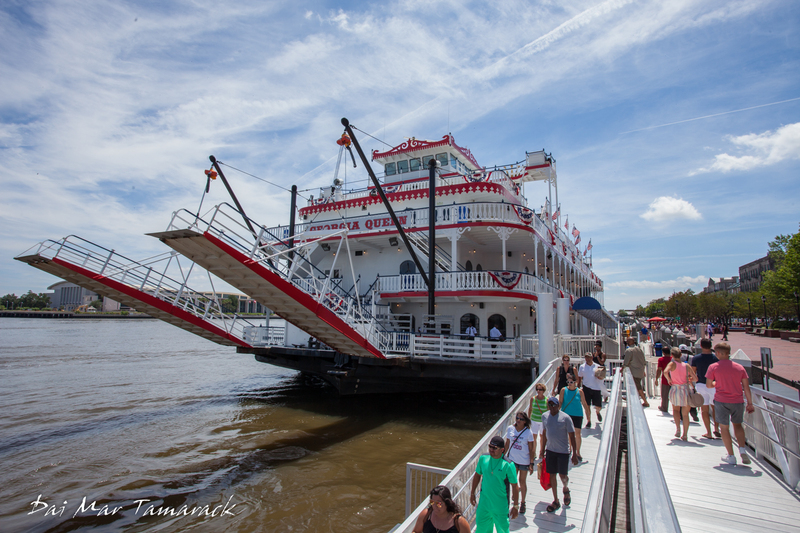 About ¾ of the 21 guests onboard the Safari Quest this week strolled out in their robes with towels and worried looks. Excitement quickly took over as Carol volunteered to be our first plunger. Each jumper came back more reinvigorated and a little more bonded with the other jumpers. It is a rare group of people who get to do such a thing. 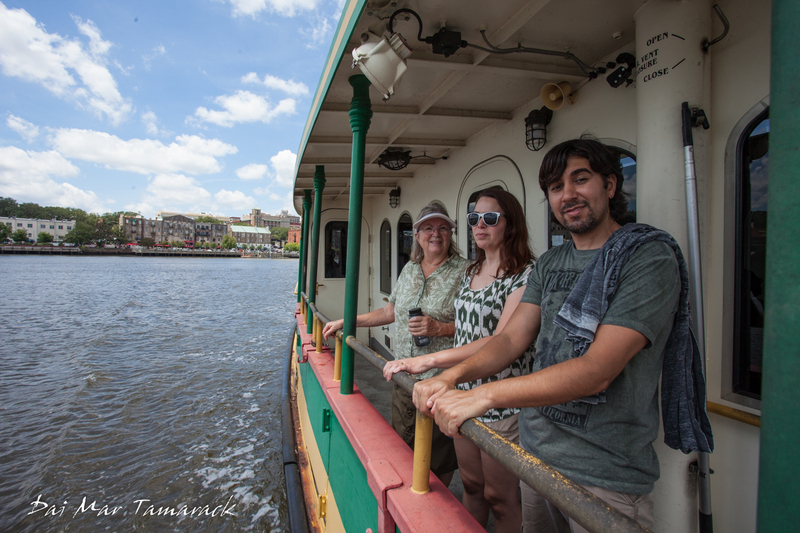 But that can be said of things we do almost every day here with UnCruise. So here is to pushing yourself and expanding your boundaries, and here is to the polar plungers. I had seen bubble net feeding humpback whales before, but never like this. 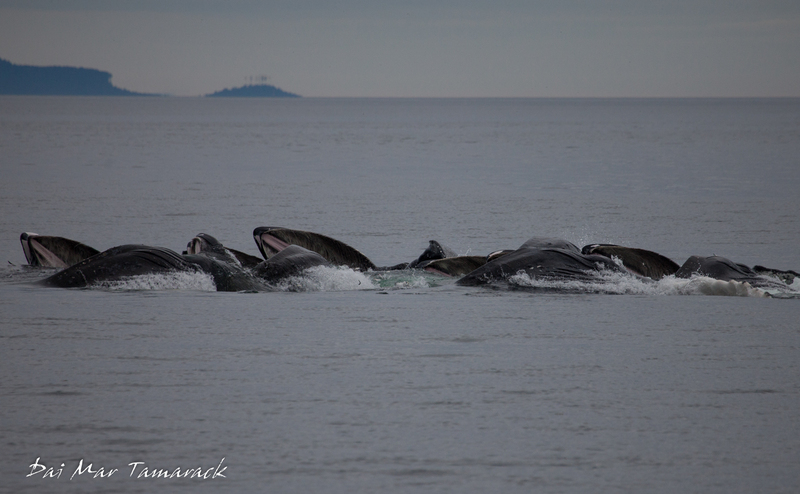 I was leading a skiff tour in one of our small 12 person zodiacs when I spotted multiple whale blows out in the distance. I had planned on staying near the Sitkoh bay, where the Safari Quest was anchored, but the possibility of seeing whales from almost water-level was too much of a draw. I checked in with the guests who non surprisingly all wanted to go out for a closer look. Luckily it was a rare flat calm day in Chatham Strait so out we went. This shot and more for sale here. I knew we were getting close, but I didn't know how close until I saw the ring of bubbles. We stopped the boat just in time to witness half a dozen whales burst through the surface of the water with mouths wide open. 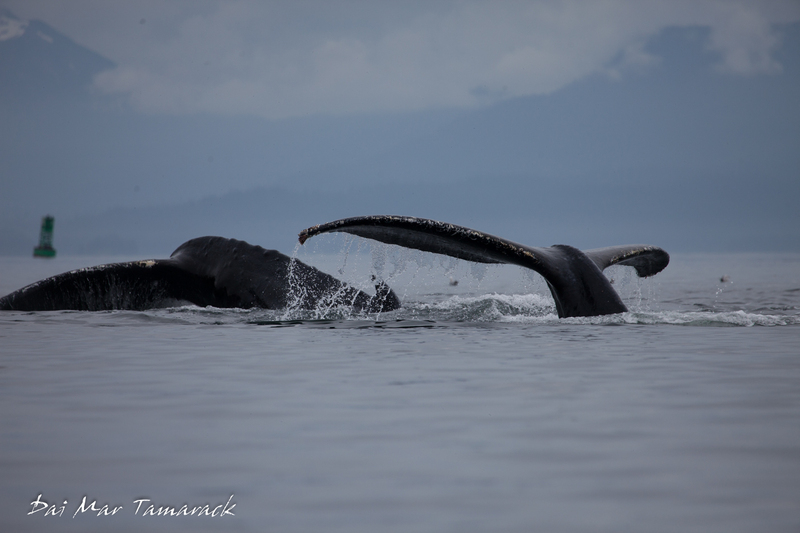 We found ourselves looking up at the whales as they towered above the skiff. They were still about 200 yards away but it felt like we were right next to them. We stayed with the whales watching them feed over and over again until the Safari Quest finally brought everyone else out to us, dropped them in the other small boat and then we all watched through lunchtime, pushing the meal back by an hour. 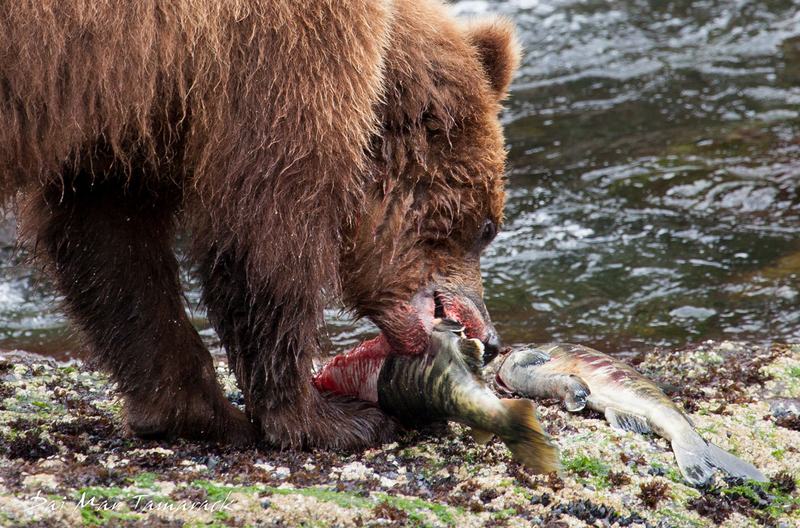 The hunting trifecta is an almost mythical goal to set for a trip to Alaska. 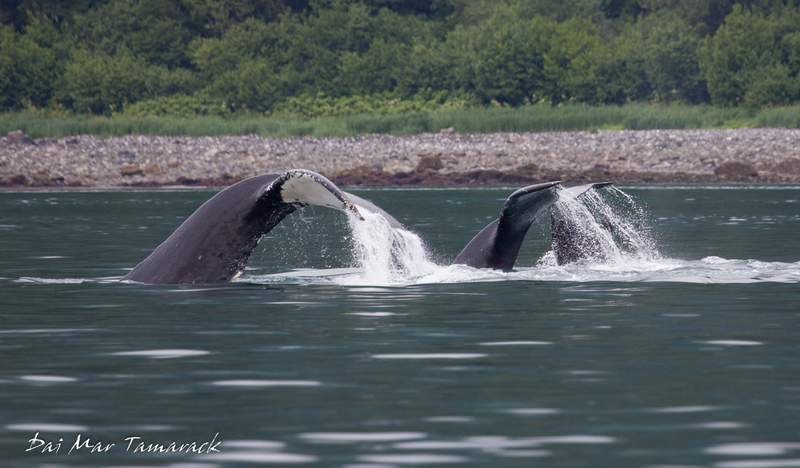 This natural spectacle includes bubble net feeding humpback whales, bears catching salmon, and transient orcas taking down a marine mammal. Just seeing these three animals on one trip would be considered a lucky success. So you can imagine how surprised the crew of the Safari Quest was this week…when we got the hunting trifecta! 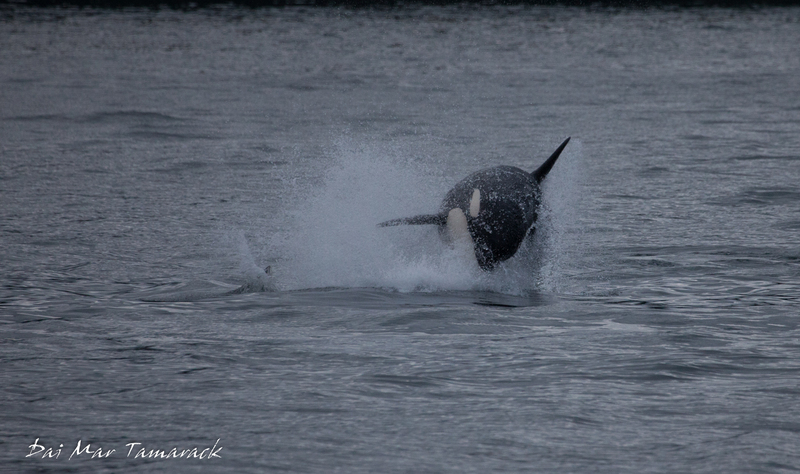 First on the list was the hardest and rarest of the trifect, hunting transient orca. Also known as killer whales because of their ability to kill other whales, this family of orca was hunting dall’s porpoise. We watched the speedy porpoise kicking up a rooster tail of water moments before a huge orca would appear right on its tail. The orca corralled the porpoise and let the young orcas chase them. They made it look almost too easy. 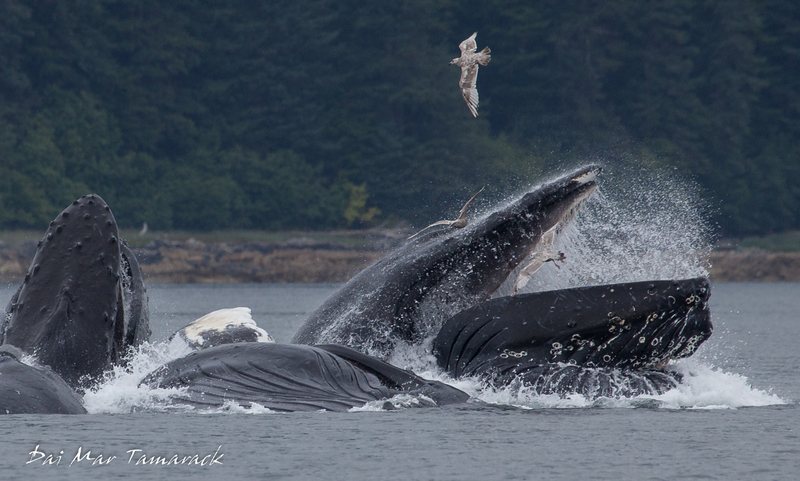 The chase culminated in an orca exploding out of the water knocking the porpoise sideways in the process. 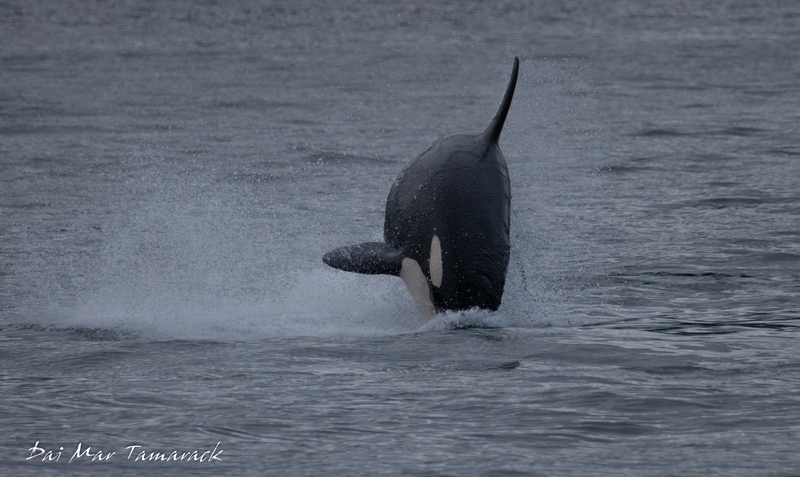 Here is a link to another one of my popular orca encounter post. 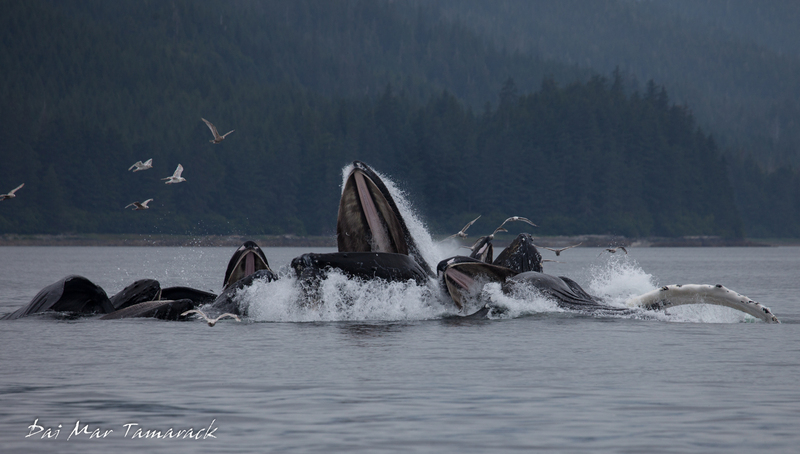 Next came the holy grail of whale watching in Alaska, bubble net feeding. 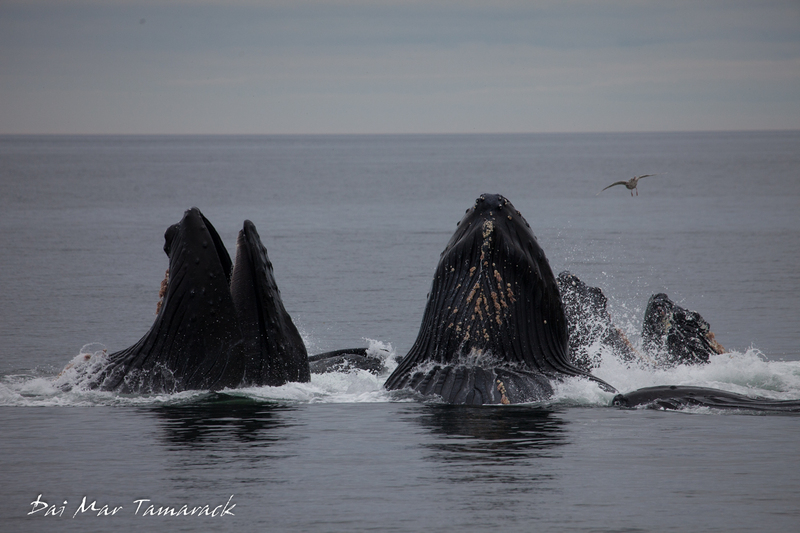 This is when multiple humpbacks coordinate an attack on dense schools of bait fish, like herring. It is a hunting strategy that exhibits incredible social structure and intelligence and is most amazing to witness. After corralling the herring in a circle of underwater bubbles the whales rise to the surface in unison bursting forth with open mouths, gulping as much as 16,000gallons of prey-filled water before straining it through their baleen. The last event on the hunting trifecta can only be witnessed during the late summer months here in Alaska when the salmon start returning to the birth streams. The last gauntlet they face before making it up the cascades to their mating grounds is a line of hungry bears. We made a stop to tour a salmon hatchery at Hidden Falls on Baranof Island, one of the famous ABC islands of SE Alaska. 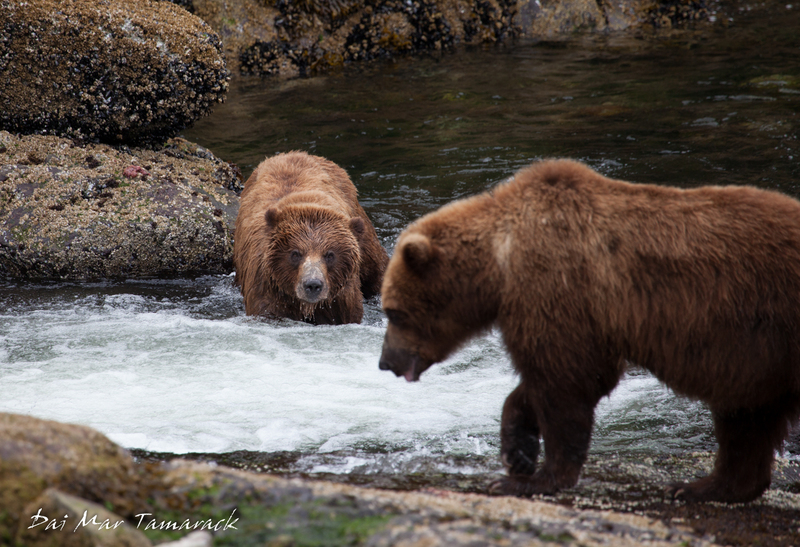 Known for its population of brown bears we were not surprised to see several working the salmon stream. They would pick out the returning female salmon, instinctively knowing the nutritious value they contain in their thousands of eggs. 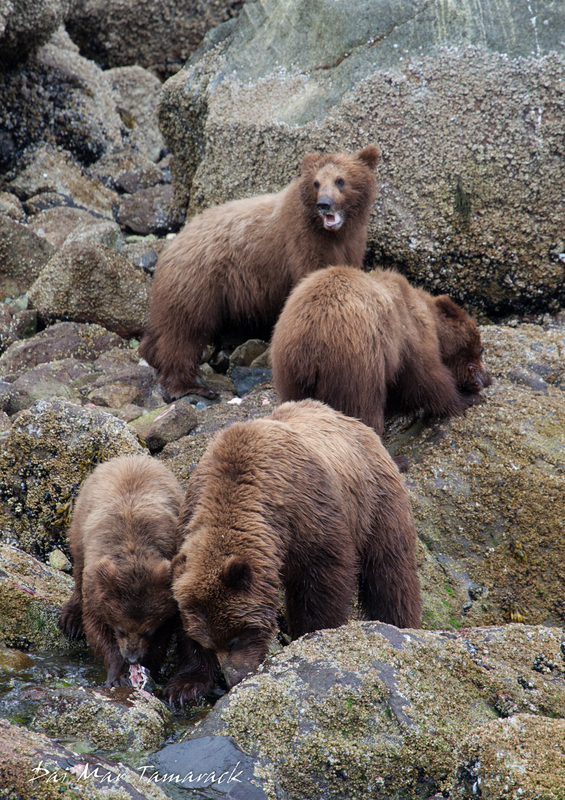 As we watched a mother bear emerged from the forest and proceeded to teach her three cubs the art of salmon fishing. It was a fitting end to our hunting trifecta. Check out my most popular bear posts here. 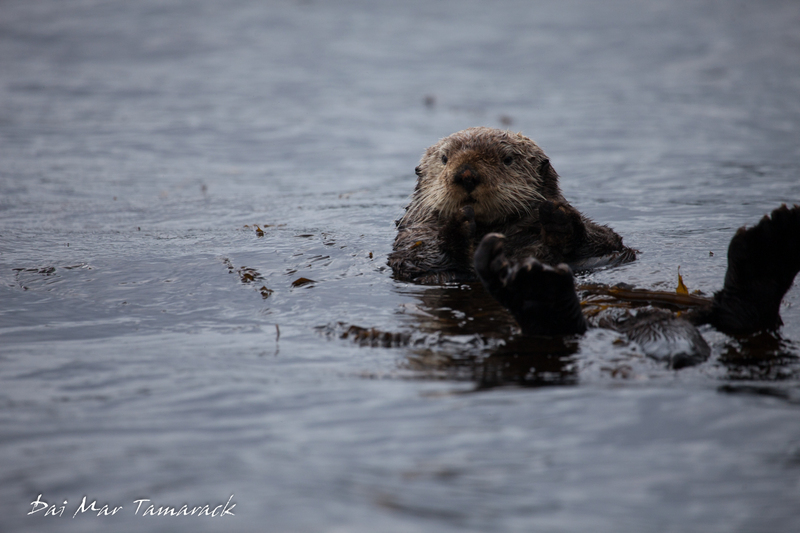 On the tours that I lead up in Alaska the wildlife is often a big draw. 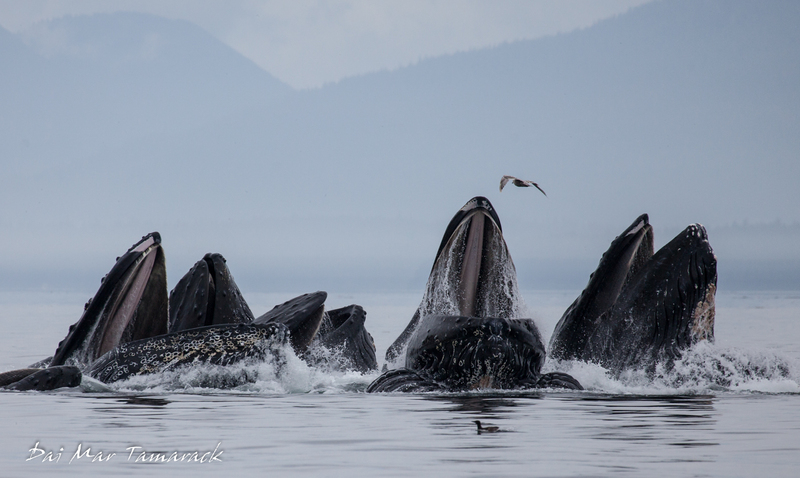 Every week we come across a plethora of charismatic megafauna, aka really cool big animals. 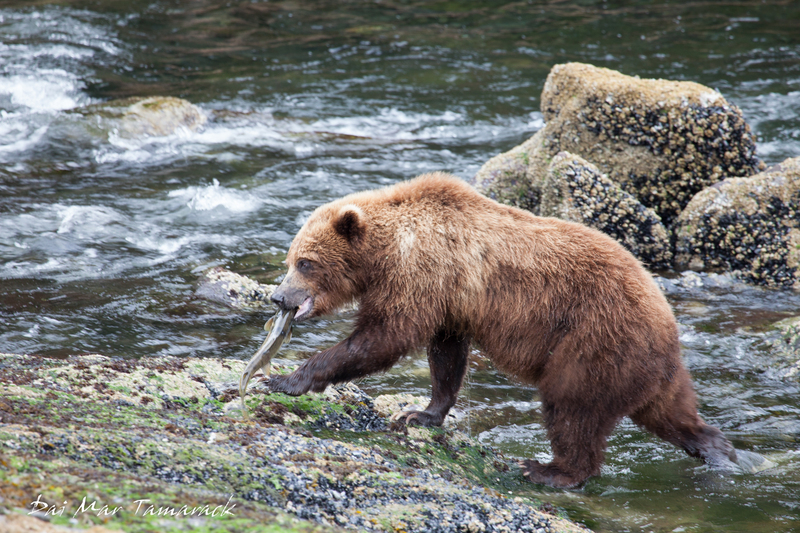 Encounters with humpback whales, bald eagles, killer whales, and brown bears are usually at the forefront of everyones mind when the trip starts. And when we come across those animals it is easy to fall under the spell of their charisma. However it is a slightly smaller marine mammal that can melt the heart of just about everyone who encounters it…the sea otter (Enhydra lutris). Covered in extremely dense fur, about a million hairs per square inch, these aquatic mammals of the weasel family stay warm by trapping air underneath their coat. 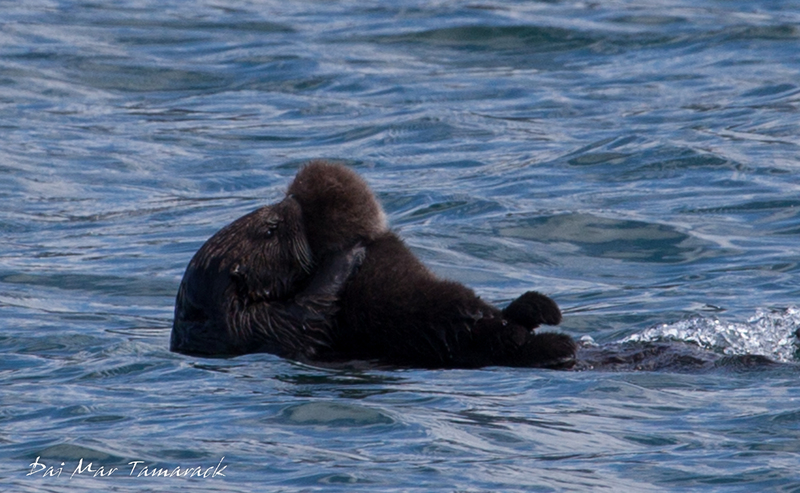 But it is this same feature that drove early settlers to hunt these sea otters to the brink of extinction. 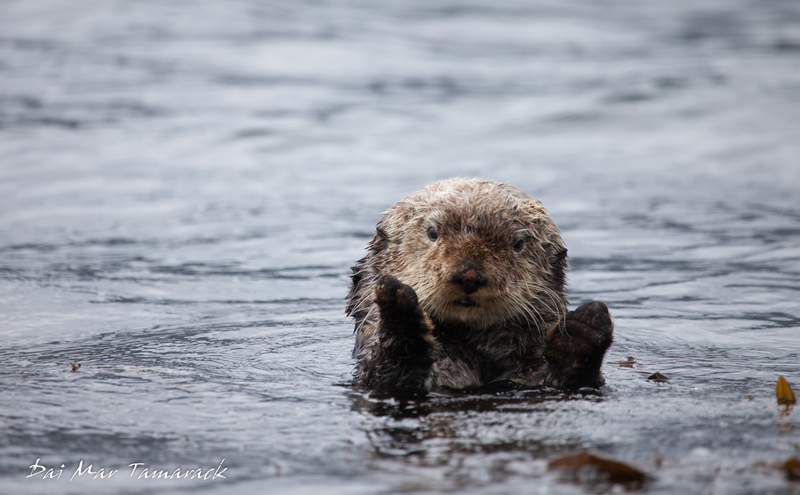 Russia fur traders were prevalent in Alaska’s forming years because of the number of otters. However in 1867 the otter population had plummeted and seeing no further use for the land Russia sold it to the United States. However the hunting did not stop with the handover to the U.S. In fact it intensified until 1911 when there were so few otters left that hunting them became unprofitable. That year the otters were finally given full protection under a law signed by the U.S., Great Britain, Russia, and Japan called the Fur Seal Treaty. 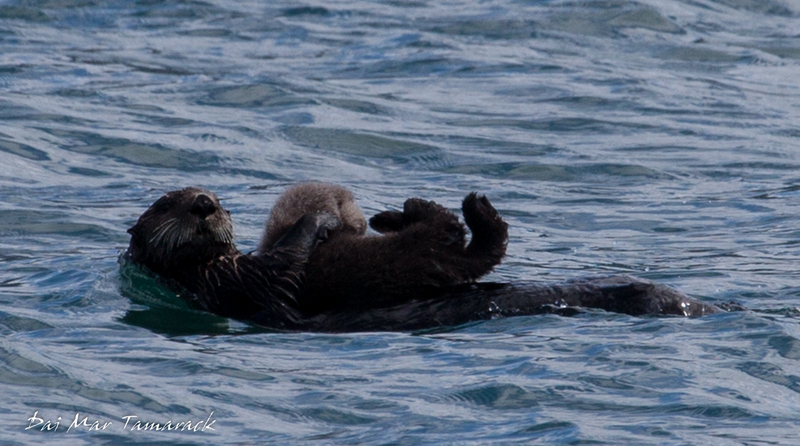 In 1960 there was an estimated 2,000 total sea otters. Fast forward to the mid 1970’s and the population was up to an astounding 150,000. Chalk this one of for successful conservation. 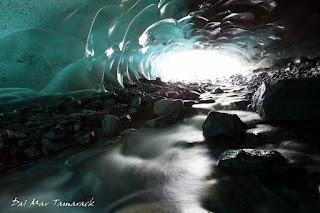 If you want the ultimate mind-blowing experience in Juneau and you are a bit adventurous then the ice cave hike is the answer. These caves are slowly changing all the time so my suggestion is to go see them while they last. 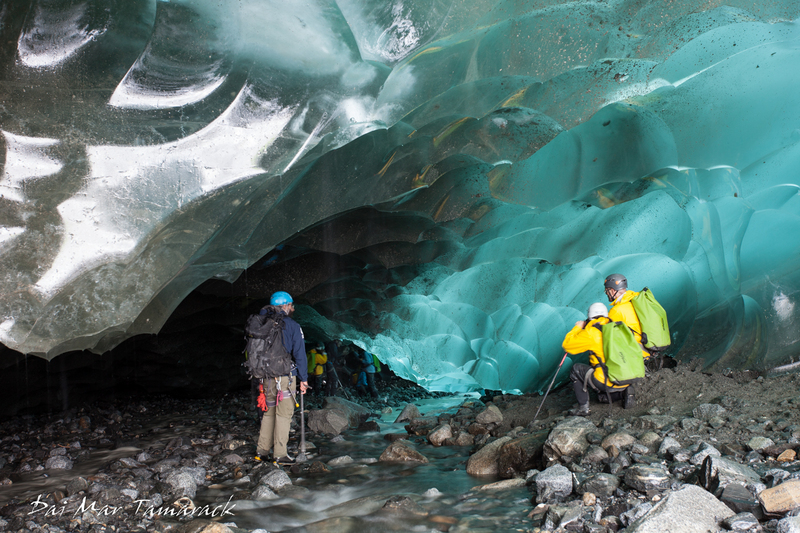 In just a year's time Mendenhall Glacier has receeded quite a bit, and even though the caves are different than last year they are every bit as beautiful. 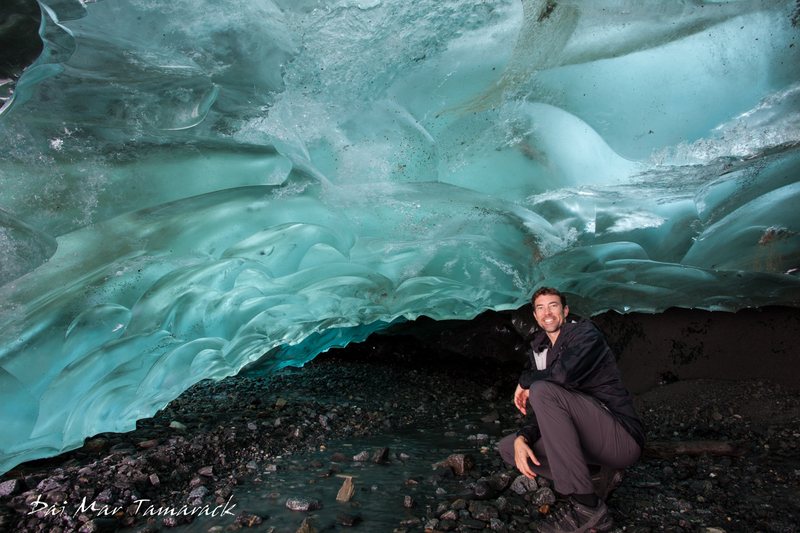 Imagine the bluest ice forming a dome over you with a river running through it, all underneath a glacier. 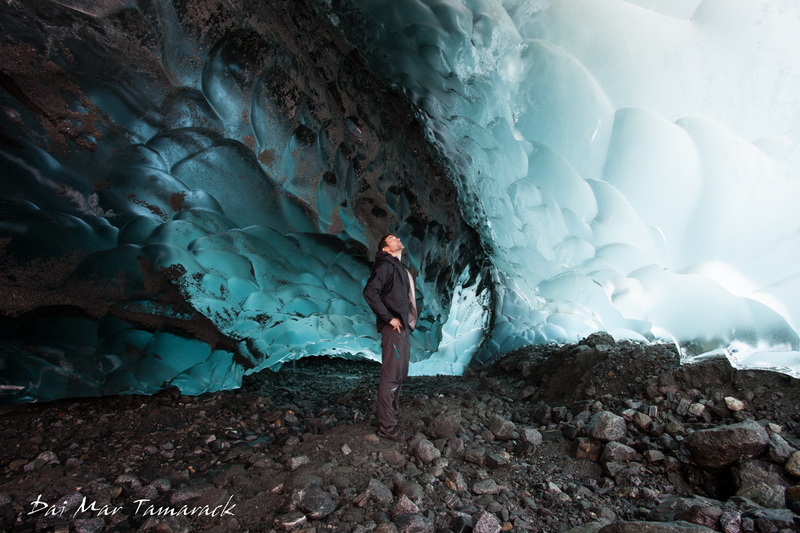 I can't help but feel like I have been transported to another world, or superman's ice fortress while surrounded by the ice caves. 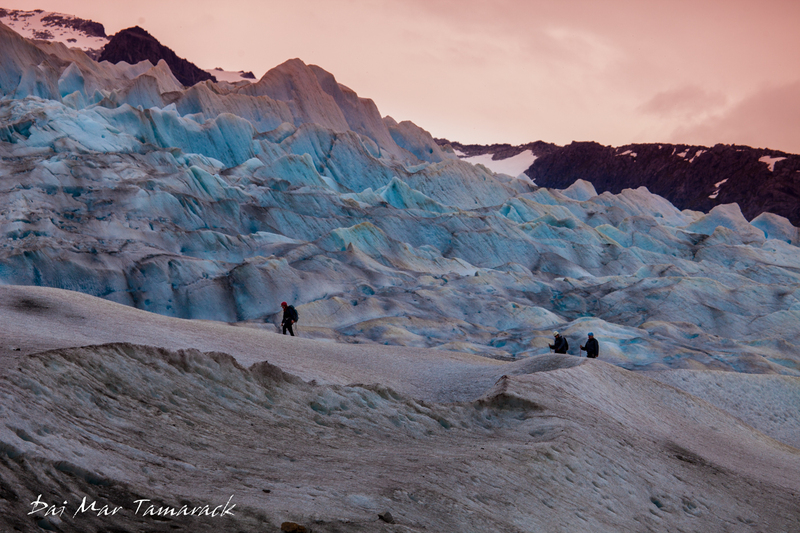 And the beauty of this being in wild Alaska is that you don't have to pay anything to get here. 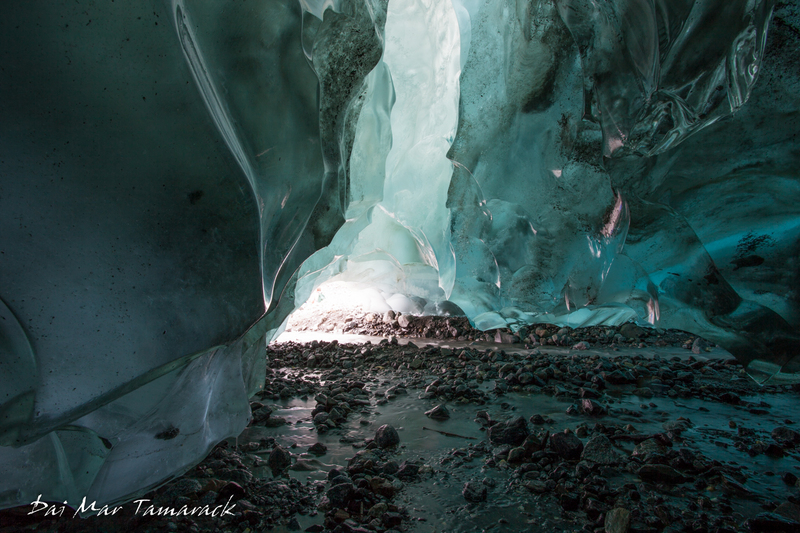 There are some organized tours that kayak or canoe across the lake from the visitors center, but if you make it to the west glacier trailhead a 2.5hr hike across changing terrain will lead you right to the caves and the glacier itself. The caves may be beautiful, but it is a dangerous beauty. While I was there several rocks fell down from ontop of the glacier. Inside the caves melt water is dripping down, and in some places pouring off. 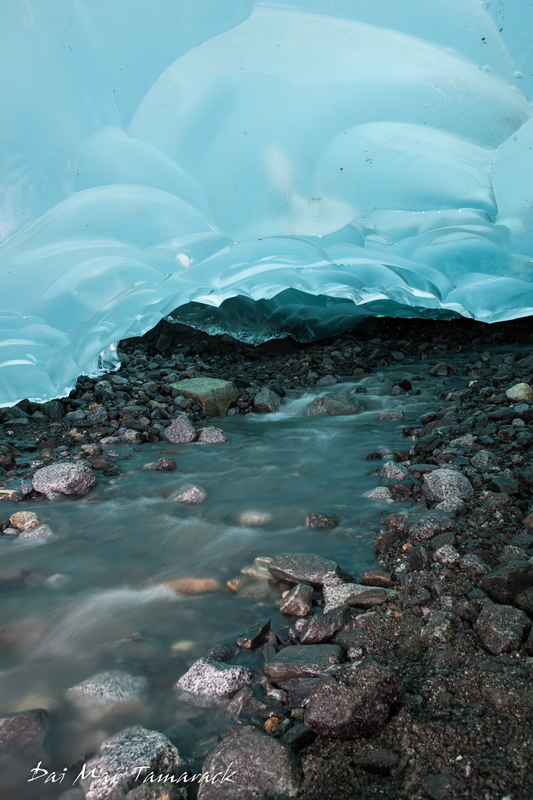 There are constant reminders that the glacier is constantly moving and shifting like a giant river of ice. 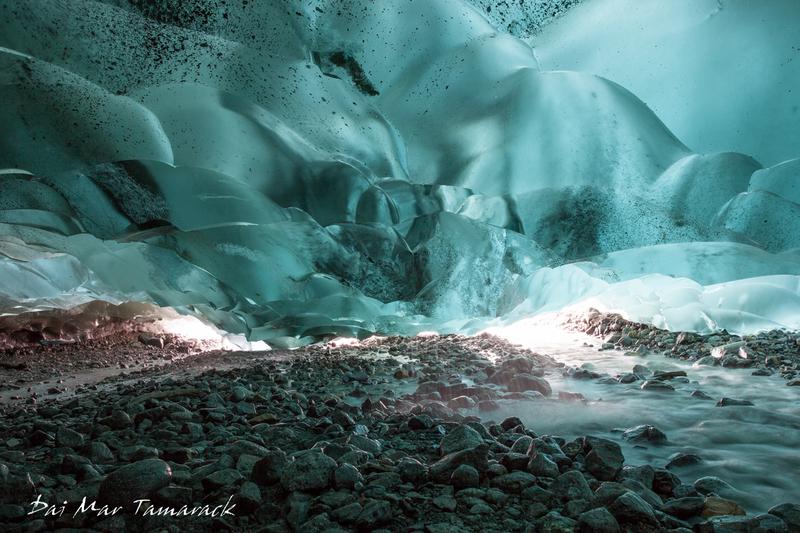 I fear after another year or two the glacier will recede far enough back where the caves will no longer form. That is why this time I wanted to be ready to photograph and capture this subglacier world. I took a tripod, my canon 5d mark ii with a 17-40mm L series lens to capture the moment. The tripod was necessary as there wasn't a lot of light inside the caves so I needed some pretty long exposure times. Also balancing the light of some of the ice with the black rocks below was difficult. The canon 5d does a wonderful job in these situations. I was pretty pleased with the results. 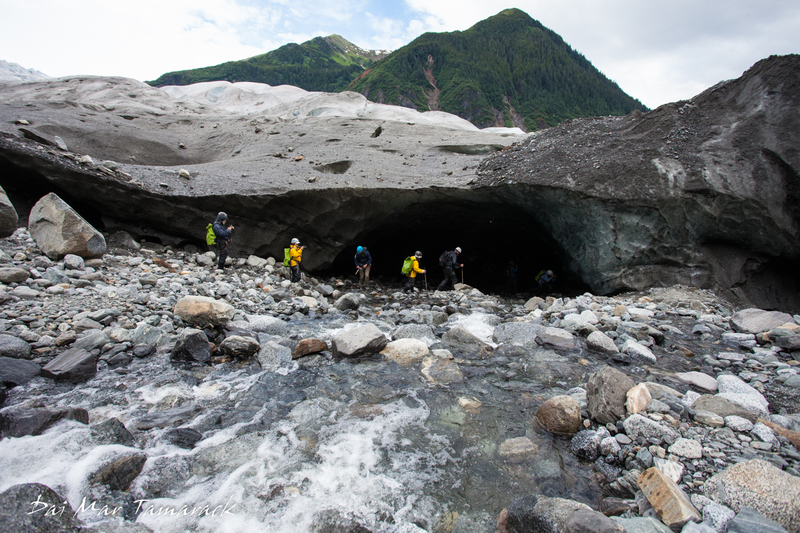 Here is one of the tour groups that led their people up onto the glacier before going through the ice cave. Notice they all had hard hats to ward off the smaller falling rocks near the entrance and exit. You can see pictures and the changes from my first visit to the Mendenhall Ice Caves here. 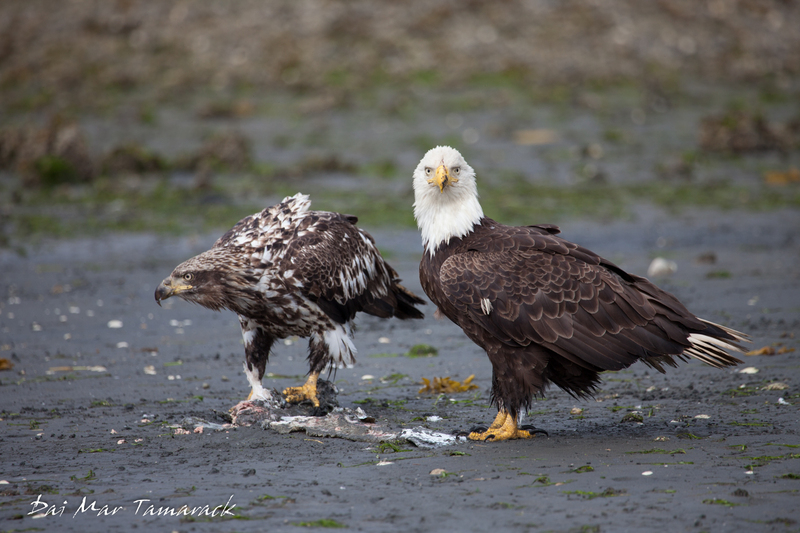 Many people are amazing at the number of Bald Eagles encountered when they visit Alaska. During the summer, especially when the salmon start returning to the rivers, eagles are probably the most abundant bird species that one sees. In fact, on many of my weeklong trips that I run I often have guests who stop taking pictures of eagles towards the end, because they have so many pictures already. 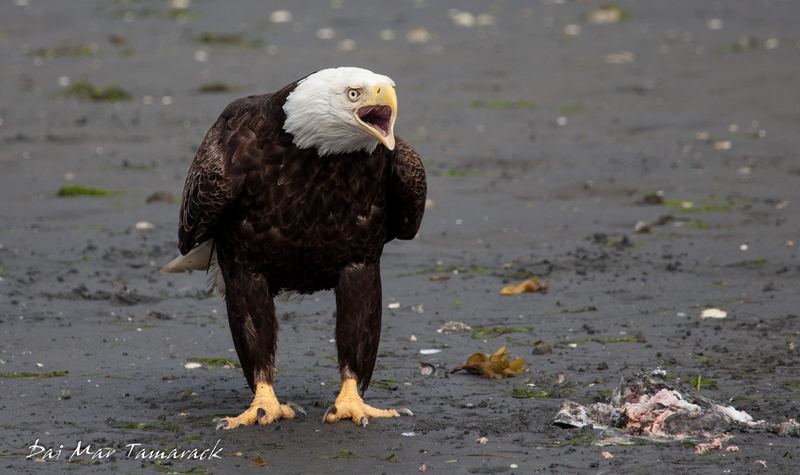 But for me, there is just something regal about bald eagles. It makes it easy to understand why they were chosen as our National bird. Every once in a while they will be acting up, and the pictures come out looking more comical than regal. Here are a few of those pictures from my most recent photo shoot with these interesting birds. 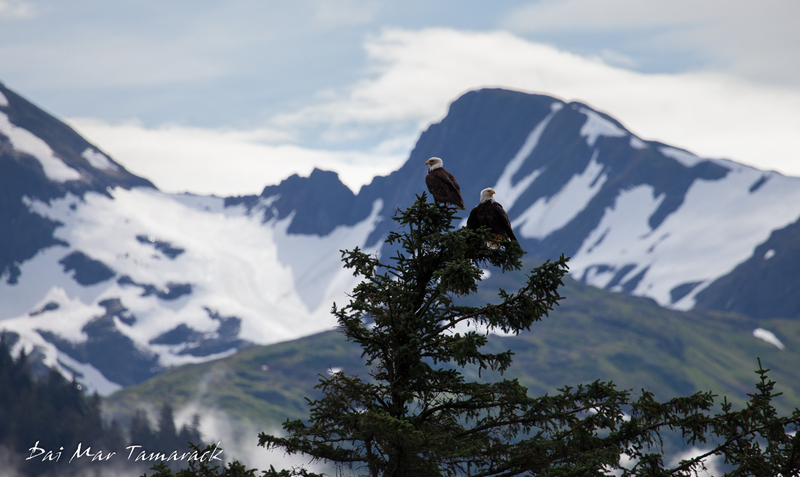 You can check out a post from a year ago from my favorite eagle photo session up near Homer, Alaska. I am quite pleased that these eagles have survived in such numbers here. In the rest of the United States their numbers have dwindled due to pesticides working their way into the eagle's system and eggs. That wasn't a big issue here in Alaska luckily. However, in the early and mid 1900's, there was a common misconception that eagles were eating all of the salmon so a 50 cent bounty was placed on their heads. 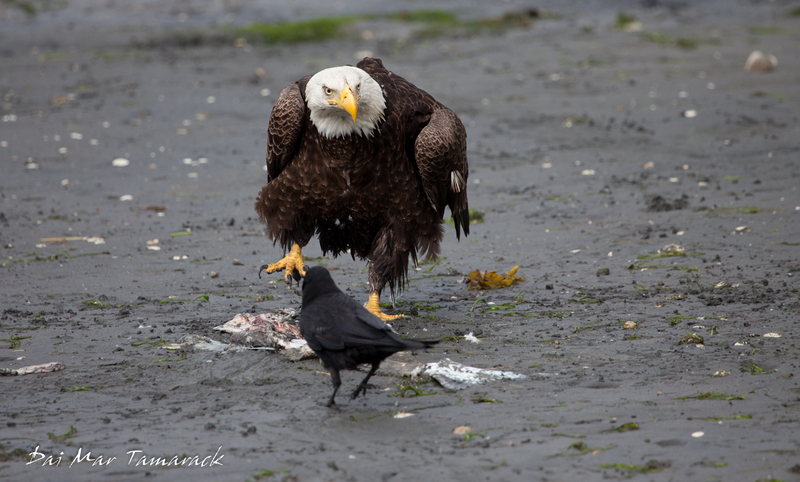 This was later raised to a $2.00 bounty, which ultimately claimed the lives of some 128,000 birds here in Alaska. The bounty lasted from 1917 to 1953. 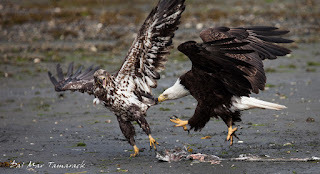 A weekly newspaper captured the prevailing sentiment in 1920: “The eagle is a curse to the rest of the animal kingdom and the sooner it is exterminated the better off the game will be,” opined the Valdez Miner. By 1953, anti-eagle-hunting sentiment won out, and the bounty ended. Based on Alaska treasury records for bounty payouts, its citizens turned in over 120,000 pairs of eagle talons. “Gone, probably forever, were the days when a pair of shriveled eagle claws hanging on the wall behind the cook stove in a Last Frontier cabin was the equivalent of two bucks in the bank,” wrote Alaska historian William DeArmond. 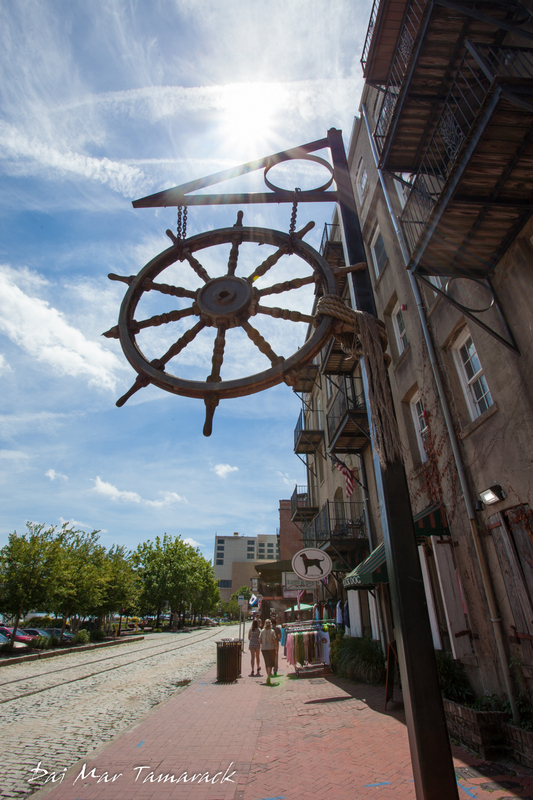 There is a lot of history in downtown Savannah. 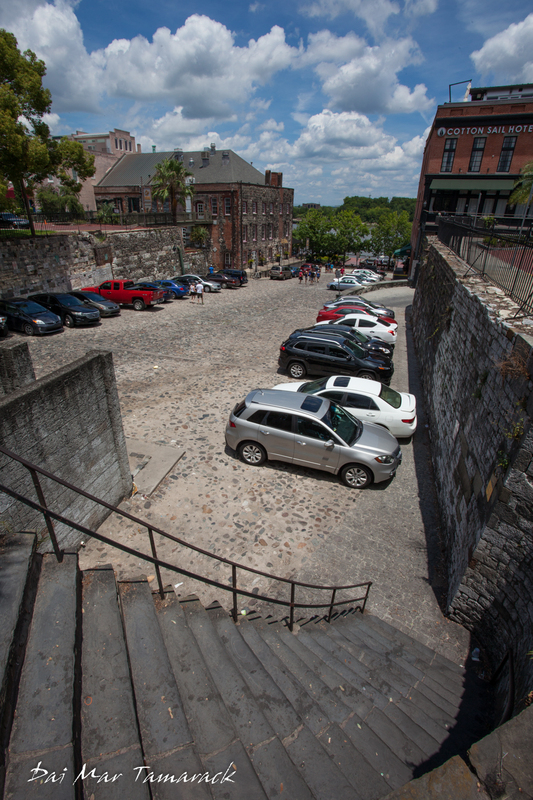 Built on a high bluff overlooking the Savannah river back in 1733, it is a perfect arena for a walking photo safari. 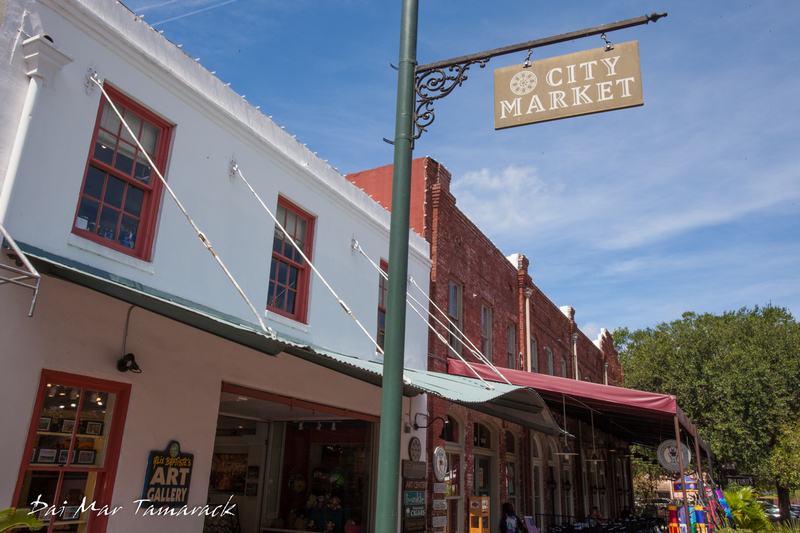 The old cobblestone streets and brick buildings are coupled with tourist tasting salt water taffy and modern art galleries. The city was organized around beautiful squares and a bustling waterfront. The squares still remain with beautiful oak trees, spanish moss, fountains, and statues. They are a great place to start. The fountain in Forsyth Park is perhaps the most photogenic. 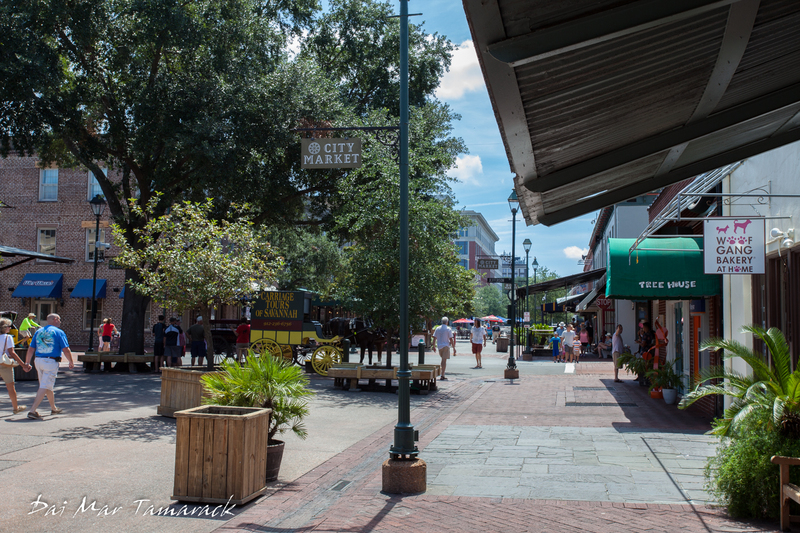 Walking north through the squares will bring you to the boutique and restaurant filled Broughton Street. Beyond that City Market looms as the place to go. Old town trolleys and pedestrians rule here along with one of my favorite pizza joints, Vinnie Van Go-Gos. This is where I started my photo walk. We tried to stick to the shade since the typical Savannah heat wave was beating down on us. But the weather did provide some beautiful blue skies and wispy clouds which added a nice background the the already wonderful architecture. 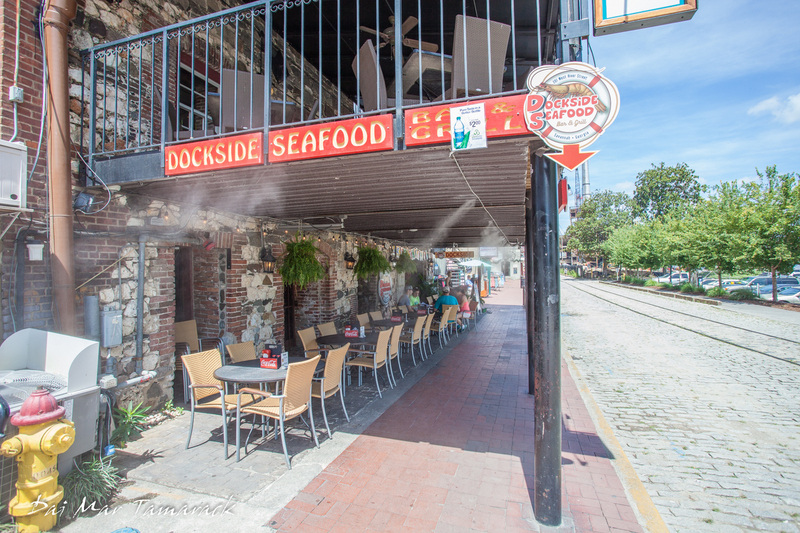 Some of the outdoor restaurants employeed the use of water misters to keep their customers cool. 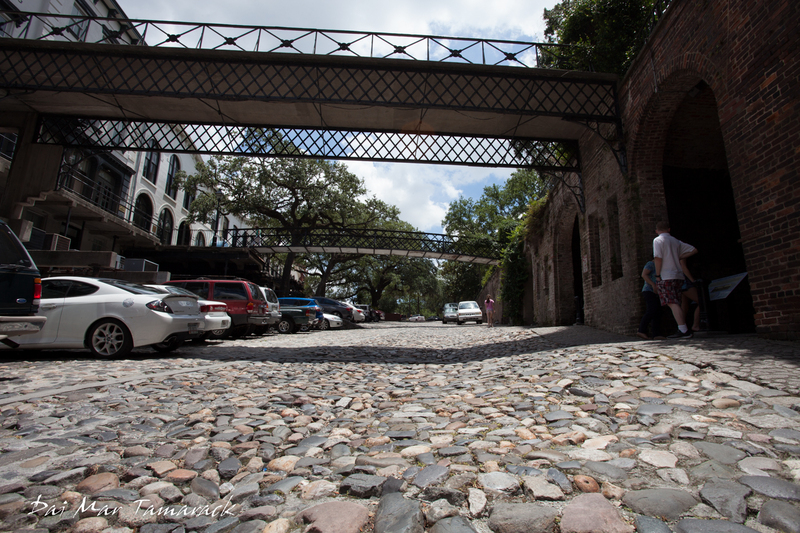 Still walking north the ending point of any tour in Savannah should end with the cobblestones of Riverstreet. 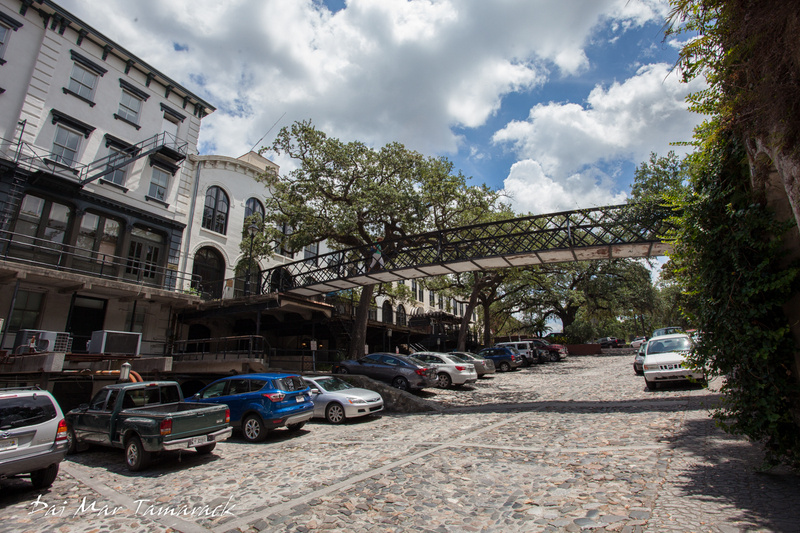 The site of Savannah's huge St Patricks Day festival, it is really a year round party on Riverstreet. 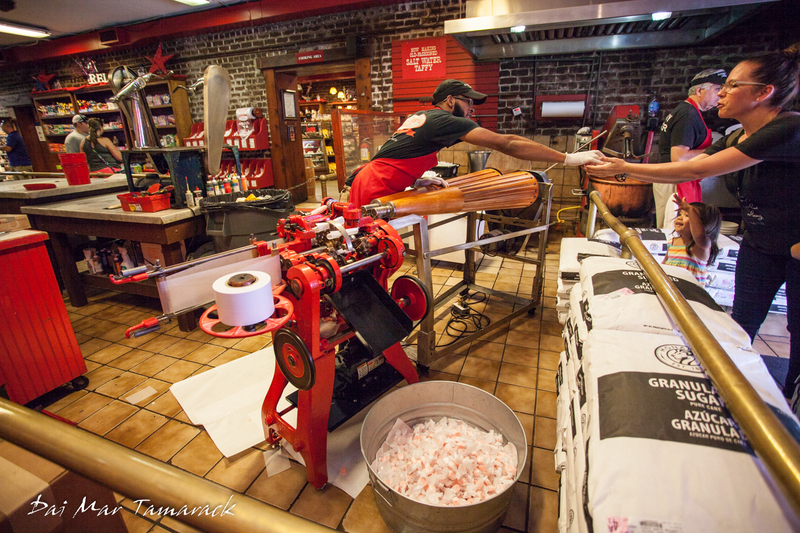 Candy shops, bars, and sea food restaurants share the walk with the old train lines and renovated cotton warehouses. 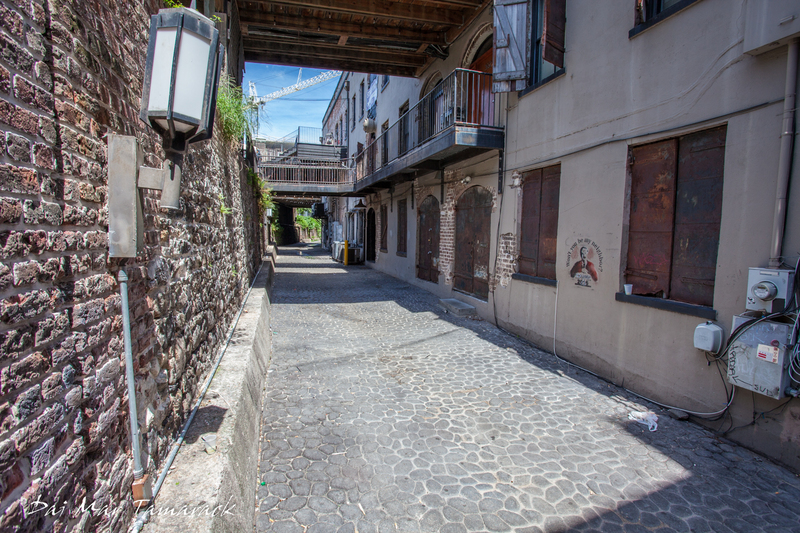 Secret tunnels lead from old taverns down to the water where men would be shanghaied into service a ghost tours search for signs of the departed once the sun goes down. 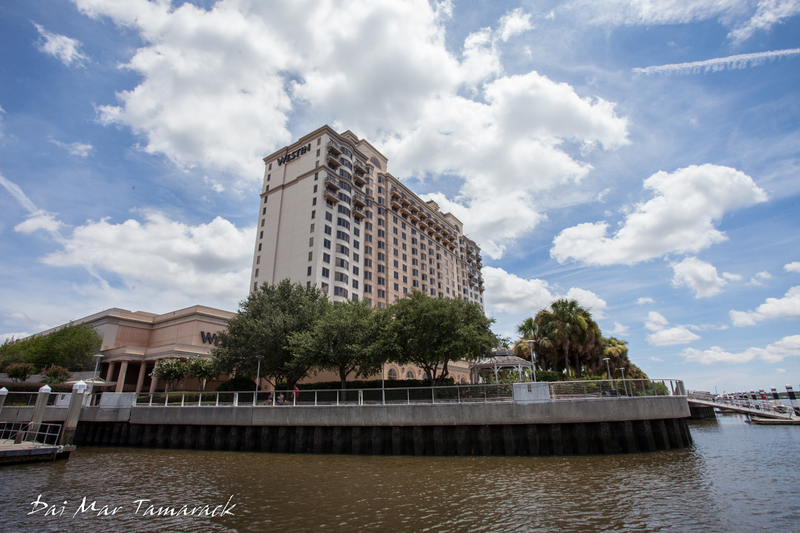 Nowadays there is an option to continue your walk, with a free boat trip that services the Westin hotel and conference center on the opposite bank. 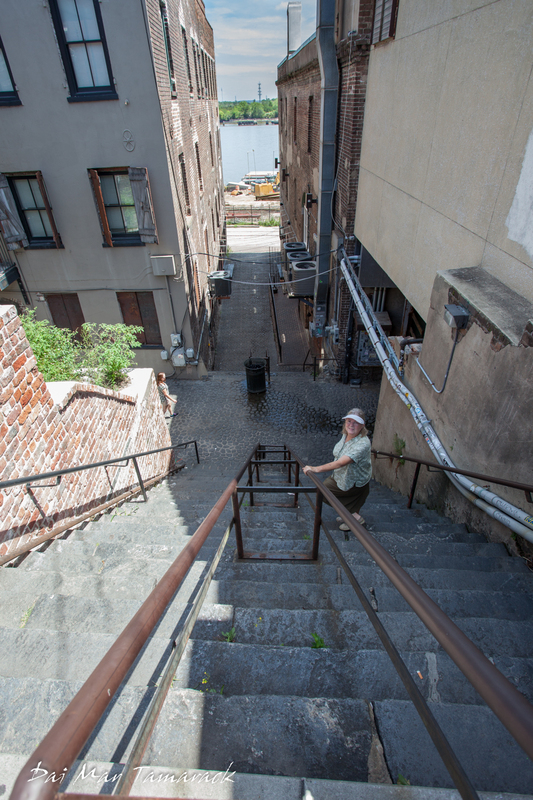 This is a great way to get a shot looking back at downtown Savannah like the one above. 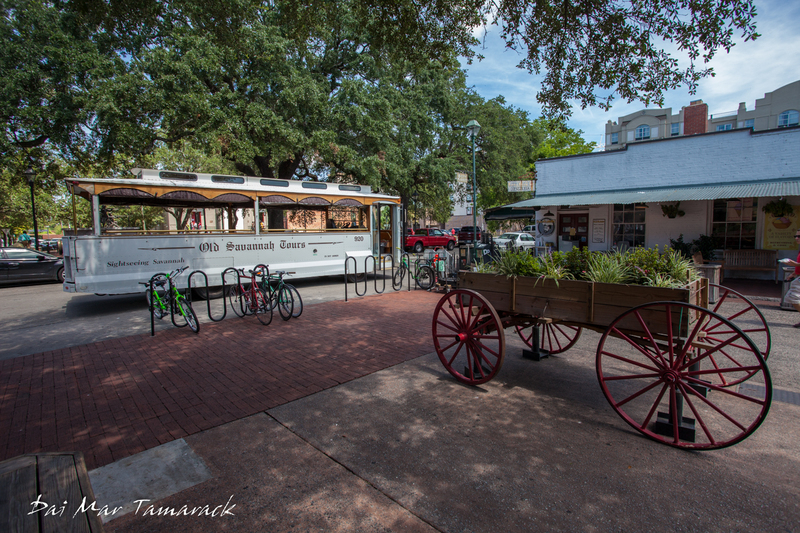 The area just oozes Southern charm and history and many parts have been meticulously kept and renovated to maintain the historical aspect. Day or night, rain or shine you will walk away with some great photos and probably some fresh pralines or salt water taffy igniting your taste buds.